This is a guest post from scholarship recipient Bethany McGowan, a member of the Design for Learning community. Implementing Gamified Assessment and Badges: A Practical Guide, a hands-on workshop that taught participants to use gamification for instruction and assessment. It highlighted the gamified assessment tools Kahoot and Quizzizz. Keywords to Mastery Game: An Active Learning Approach to Discover Research Topics, a hands-on, 50-minute workshop that allowed participants to design and play a game focused on teaching the keyword and natural language processing skills required to search databases. There was also a session on improving online instruction, Visibility & Engagement: Design, Develop, or Refresh your Online Instruction. In addition to learning, I had time to socialize with the D4L at ALA group over pizza dinner, where I met several new colleagues. 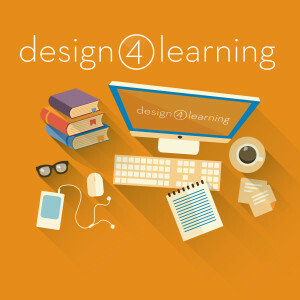 After completing D4L and attending ALA, I am very interested in strategies for designing and developing Open Education Resources (OERs) that librarians can use for continuing education, particularly OERs related to librarian’s roles in Open Science. Tagged ALA, alumni, conferences, scholarships.